Eine Untersuchung der physikalischen und psychologischen Geheimnisse, die den Körper verwenden um den Geist zu täuschen. can be marshaled to create entertaining and seemingly impossible happenings. 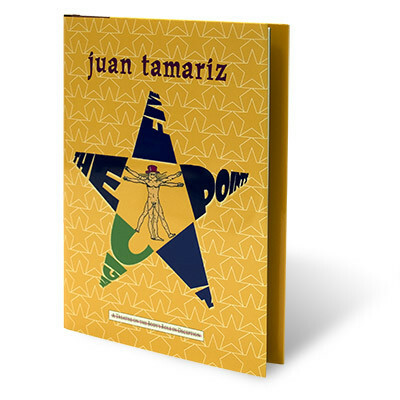 In The Five Points in Magic, Juan Tamariz teaches magicians that it is not the hands alone that deceive, but also the feet, the body, the eyes and the voice. It is only through a full understanding of all five of these tools of nature and communication that the conjurer can spin a complete web of illusion that traps and then transports his audiences into the astonishing realm he has prepared for them. There is no other book that so quickly, efficiently and entertainingly puts into the reader's hands the tools required to raise his performances to a level of true professionalism and draw his audiences into the world of magic. The text and design of this new edition have been revised to provide added clarity for readers of this valuable modern classic of magic.